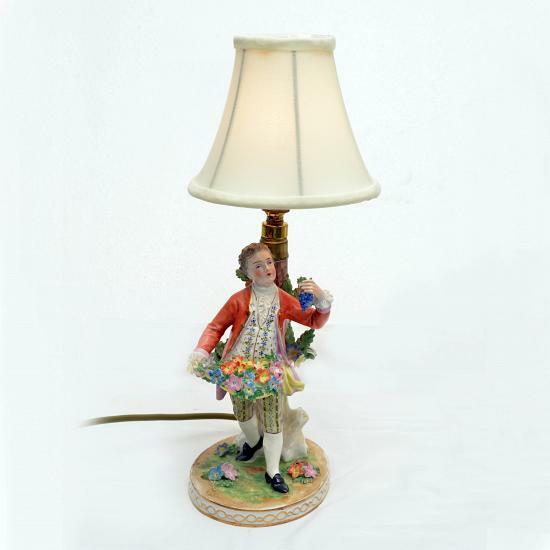 [ AA51 ] A Dresden Figural Electric Lamp. Navigation Product Search All Categories KEROSENE & ELECTRIC LIGHTING ELECTRIC LIGHT A Dresden Figural Electric Lamp. Note Has been rewired and has new shade.